Another big “thank you” goes out to two of my bestest friends, Lisa and Chenoa. They had given me some birthday bucks to spend on myself, but until this week, I hadn’t how I wanted to indulge myself. Does anyone LOVE candles as much as I do? Yankee is having a Buy 2 Get 1 free sale and it was just the excuse I needed to hustle over there to gratify my senses at this time of year, my favorite for candle burning 🙂 I started one this morning, “Harvest”, and it’s dreamy! And this is from Cathy at Life With Miss Magoo… thank you, Cathy! Now go check out Miss Magoo, her adorable daughter! Nicole at Baker’s Sweets. Nicole and I go way back, we were friends before Isabelle came home in 2005! She’s been a great friend as we have both made a combined 6, soon to be 7, trips to China… she’s gearing up to travel for her beautiful boy, Logan! Heather at Welcome to Our Little Ladybugs. Heather has such positive outlook and her blog has a way of making me remember what’s important. And she never fails to have an encouraging word, she’s an inspiration! Patricia at Hip Hip Hubei (pw protected). She is, honestly, one of the sweetest people on the planet and such a great mama to her beautiful Kiara. I have been blessed to call her my friend for the last (can you believe it, Patrica?) 3 1/2 years! Julia at Julia Laine. Seriously, just looking at the incredible pictures of her beautiful daughters puts a smile on my face. I have just recently found her blog and always look forward to see what she’s going to post next! Hayley at Growing Snowflowers. I love you, Hayley (even if we disagree on politics ;)). Hayley has a way of mothering that inspires me and a sense of humor that always manages to put a big ol’ grin on my face. Plus, her girls are too cute!! And, I’m putting her at the end because she knows how much I love her, Kris at Tell Her This. What can I say about her that I haven’t already said? She’s an amazing friend, selfless and supportive to the end. And she can take a picture like nobody’s business. 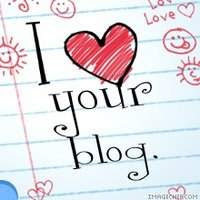 And she can write… I’ve shed more tears at her blog than anywhere else in the bloggy world. The girlz got skillz, I tell ya. 5. 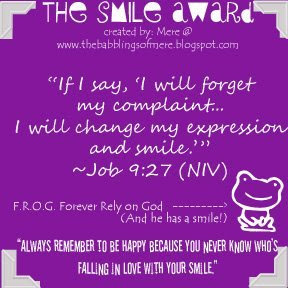 Leave a comment to let the recipients know they have received the award. awww, thanks so much for the kind words! you are so sweet!! and thanks for the nomination! 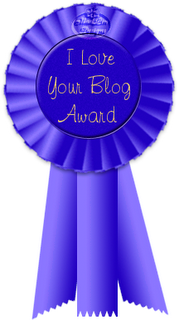 Congratulations on your Blogger awards!!! You are most deserving, my friend. I just love the necklace your friend sent you. How wonderful to have all of your kiddos on one necklace. BEAUTIFUL necklace!! I love that they figured out a way to get all kids names on it!! And great birthday gifts too…can't beat a great smelling candle!! Happy Birthday..I LOVE your necklace and I am going to order one..I am trying to decide which 2 charms and beads to get..I know one is going to be Hammered and not sure on the other. Thanks for posting this and I am sooo excited to order one too!!! I love the necklace! I think I am going to drop some serious hints about one for myself for Christmas. Don’t be Hatin’ on the “random nomination”. How sweet and fun! Your necklace is fabulous and I think I may need to go to a Super Scents Anonymous group. I am always on the lookout for yummy, warm smelling goodness to cover the poopy diaper, dog running around, lots of bodies “peth” that sometimes lingers in my house. Thank you SO much for the blog shout out, it was completely unexpected, but very much appreciated. I’ve been a fan of your blog since you left the link on the My Adoption Stories site from Sophie’s adoption. I always look forward to your updates – thanks again!! I have a Suzanne Myers necklace, and I love it!!! She is a realy wonderful person and talented artist! I dont get many awards…so this is nice! politics: hehe…we wont touch on that one here my lovely. You are so sweet, my friend! Thank you, I must tell you though I daily say to myself, “if stef can do it with eight, then you can handle TWO!” You inspire and move me. You touch my heart and soul and I feel blessed to “know” you. Thank you for being a friend. Hope the end of your week has been better than the beginning – how are the boys? And how did Sophie do? Oh ooh, the necklace is amazing, what a tender and treasured gift. Love the necklace : ) I am a big Yankee candle fan. I am burning my pumpkin candle daily. Love fall!!! Congrats on all the wonderful awards!!! They are well deserved. Congrats on the awards and the goodies! Life is treating you special :)!! Lovely!